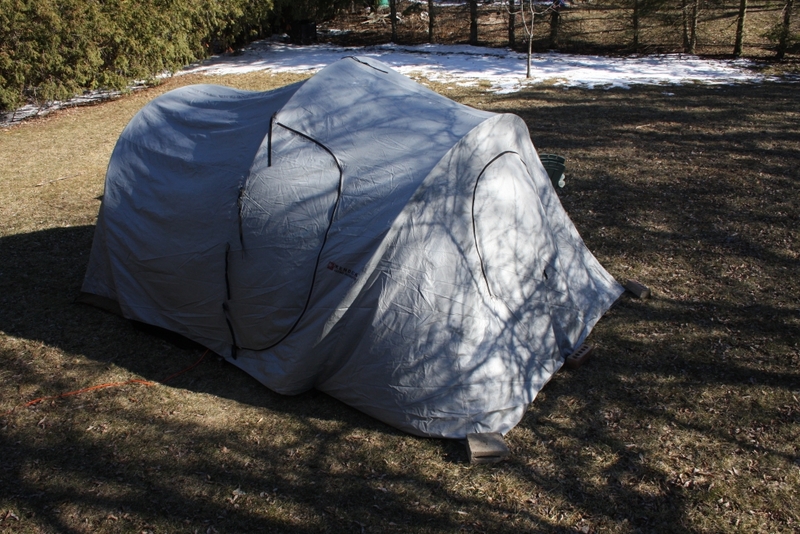 While I could not find official instructions or an online manual, I reviewed some web pages on Kendrick astronomy tent. I also read a product review. Considered slight revisions to my assembly sequence particularly when adding the fly. Noted that better, more aggressive tent pegs would be a good idea. But could not find specific notes on the pole lengths. I had forgotten my carabiner idea from the first run; somewhat surprisingly I found my small collection and attached them to the observing end loops. Backed up the audio files including the 8 hour segment! Once confirmed, I cleared out the Sony recorder. The batteries recharged along the way. Added to the observing list with emphasis on neat targets to show Rhonda. I drew from multiple sources and ran the ST3P Nightly Observing List Generator a couple of times. Re-energised the sodium hand warmers. Recharged the marine battery with the car charger. Performed continuity checks on the dew heaters. All good. Got out the 12 volt heating pad. Found some new 9 volt batteries. Readied one for the deep red flashlight. Readied to fix the focuser. Found a small hex bolt on the bottom under the focus knob shaft. Ah ha!